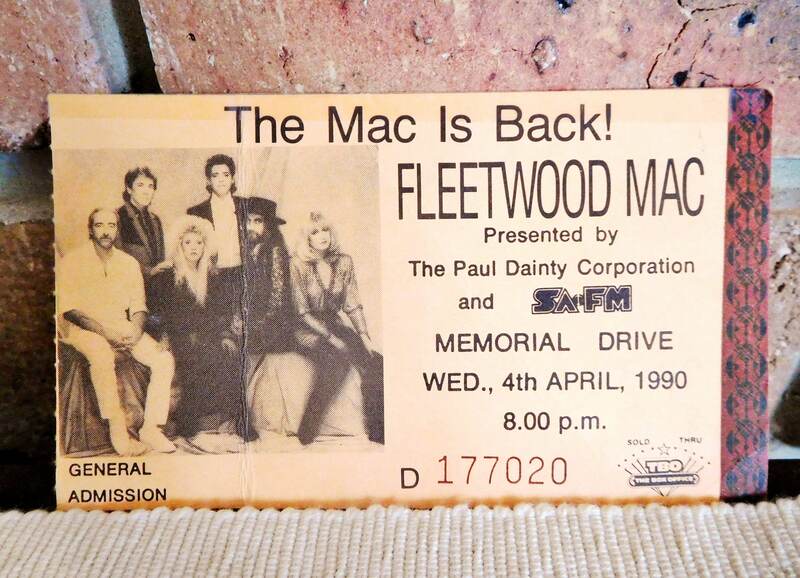 Fleetwood Mac 1990 Memorial Drive Adelaide pictorial concert ticket stub, highly collectable piece of music history in overall excellent condition aside from a fold-mark on the left, barely noticeable, especially if framed behind glass. The stub measures 12cm x 7cm. Given that Lindsay Buckingham has now left the band, this piece is highly sought after.